Phenibut Addiction And Abuse: What Is Anfiven? Is It Habit-Forming? Phenibut Addiction: Is Noofen Habit-Forming? In the 1960s, scientists in the Soviet Union notoriously created the “designer drug” that is commonly known as Phenibut or Fenibut. It gained more popularity after the rumor that Russian astronauts used it to increase their cognitive powers and keep themselves more relaxed in space. This article gives a clear and comprehensive guide to what this seemingly miracle drug is, the difference between Phenibut FAA vs. HCL, benefits of Phenibut, its uses, addiction capabilities, and finally the treatment methods to its addiction. What Is Fenibut Used For? Is Anfiven Legal In The US? Why Do People Abuse Phenibut? What Are The Signs And Symptoms Of Phenibut Addiction? How Is Noofen Addiction Treated? Phenibut – also marketed under the trade names Anvifen, Fenibut, and Noofen – is a central depressant that is used for both medicinal and recreational purposes. The method of intake of this drug is mostly as a tablet, or as an intravenous infusion on rare occasions. There are also different kinds of Phenibut powder in the market that often comes as a Phenibut supplement that is meant to be used as a brain stimulant or for recreational purposes. There are two main kinds of anti-anxiety medication in the market. The drug is delivered as a hydrochloride salt. The manufacturing process includes taking the free amino acid form and reacting it with hydrochloric acid. 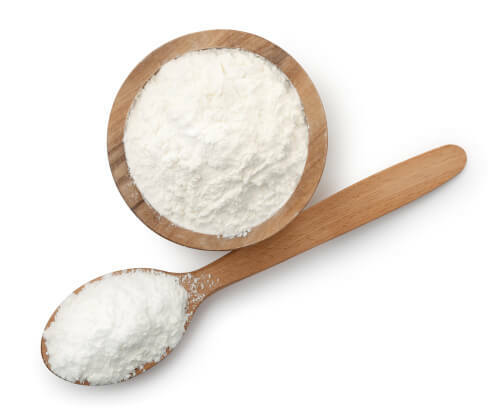 It is the most common and often considered as the best Phenibut variety. FAA is the Free Amino Acid form of the substance. Less common than the HCL version. When comparing the pros and cons of Phenibut HCL vs. FAA, the reason for Fenibut HCL to be the more dominant and popular form is that it is more stable, convenient and affordable. Phenibut FAA, on the other hand, is more expensive and rarer. Due to its free amino acid form, it can be directly absorbed into the bloodstream and give fast desired effects. Before mentioning the uses and benefits of Phenibut, it is important to note that the medical community in the Western countries are not fully endorsing this substance still due to the lack of clinical evidence. The first documented use of phgaba, named due to its structural similarities to GABA – neurotransmitter gamma-Aminobutyric acid – was as an experimental drug for young psychiatric patients. Perhaps the most common use of Phenibut GABA is as an enhancer of cognitive abilities. There are not many products in the market that deliver both relaxation and stimulant properties at the same time, especially at the same level of intensity that Phenibut supplements do. It is often considered as a potentially dangerous substance by the medical community in the US due to its highly addictive nature. While quite rare, there have been a few overdose incidents of this substance that have made the physicians warn potential users about their Phenibut tolerance levels. There are four main reasons for people to start using and eventually start to abuse the use of Phenibut XT. It is popular among college students, artists, athletes and other high cognitive professionals as a nootropic or a “smart drug.” The use of gabapentin analog Phenibut for this purpose eventually creates a dependency in the brain of the user, leading them to abuse it. Phenibut for anxiety is another popular use of this substance since it supposedly has properties that can penetrate the blood-brain barrier and directly affect the brain to quickly reduce anxiety, depression, insomnia and also symptoms of alcohol withdrawal. Many people who suffer from these disorders are attracted to Phenibut for sale offers by distributors due to the quick and robust effects of the substance. Out of these disorders, Phenibut for sleep or for treating insomnia is perhaps the most common reason to abuse this substance. More recently, Phenibut HCL powder, in particular, is being used as a recreational drug by people. Snorting Phenibut is quite popular as a way of getting into an exaggerated tranquil state in social gatherings. One of the most desired features of this substance is the sense of euphoria that it delivers, which is why Phenibut for depression is quite a common reason that people fall into abusing this substance as well. While not clinically proven, there is a general belief that the GABA receptors in the brain stay active even after Phenibut f.a.a. has been cleared from the bloodstream, which is connected to increasing human growth hormone levels. 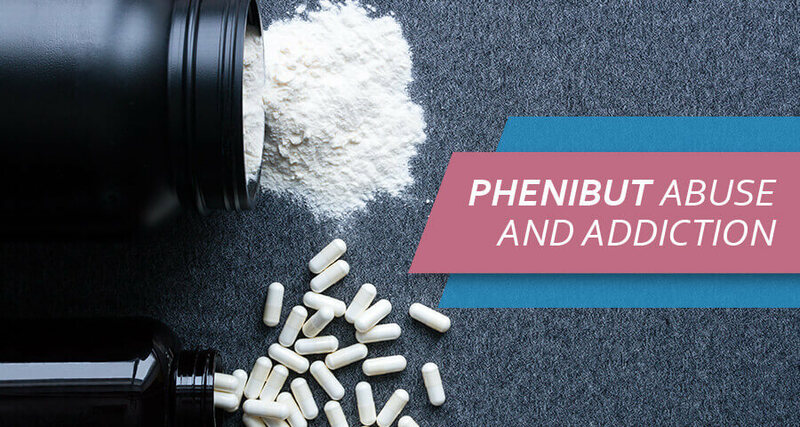 Abusing or excessively redosing Phenibut for this purpose brings dangerously high health risks for the body, delivering the exact opposite of the purpose of taking this substance. Addiction to fenibut is not only possible but also quite common. Due to being quite similar to the structure of the natural neurotransmitters in the brain, the human body tends to develop a quick tolerance to this substance, making the users extremely vulnerable to develop an addiction. The reason for the supposed strong effects and results of Fenibut is that it is very similar in structure to the natural neurotransmitters of the brain. The negative side of the prolonged usage of this substance is that it eventually starts taking the place of the natural transmitters. This leads to complete chemical and physical changes in the brain, creating a dependency for it even for the normal functioning of the brain. 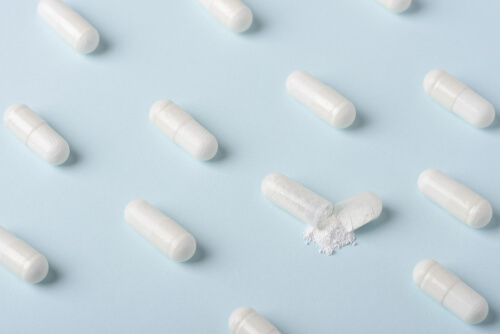 Another reason for the fast developing physical addiction to Fenibut is the high tolerance of the substance, especially when it comes to young people between the ages of 19-24. This leads them to increase the amount of intake of the substance to get the desired effect that can ultimately lead to high and dangerous health risks. Psychological dependence of a brain stimulant is connected to the physical addiction to it. When a user is too dependent on a substance that comes with prolonged usage, they develop emotional and motivational withdrawal symptoms, which happens with Fenibut as well. Especially when somebody uses Fenibut supplements to control their anxiety, depression and other mental health disorders, the deprivation of the substance can cause extremely severe anxiety levels, panic attacks and also severe Dysphoria. Taking a Phenibut drug test and being aware of the half-life and the elimination time of the substance in the bloodstream helps in managing and eventually treating the psychological addiction of this drug. Following are some of the signs and symptoms that can occur when a user approaches an addictive state with continued use of Fenibut substances. They often increase the very mental health disorders that users try to reduce, leading them to states commonly known as Phenibut social anxiety and depression. Due to not having sufficient clinical research and evidence, there is no recommended direct approach when it comes to treating Anvifen or Fenibut addiction. The most effective method is to find the root of the cause and treat that itself. For instance, if someone is using Phenibut for benzo withdrawal, the best approach for the treatment is to start a group therapy method or address the issue in a deeper method such as trauma-informed care. Phenibut taper, or gradually reducing the dose of the substance is considered to be a successful treatment method especially for those who are addicted to taking Phenibut for opiate withdrawal. For Phenibut and alcohol concomitant abuse, the best method of treatment is a combination of counseling and consistent behavioral therapies. Similar to any other drug addiction, when it comes to Anvifen addiction, there is no single method that suits everybody. Treatment plans should also be reviewed as they progress, and changed to fit the needs of the patient. The doctors in specialized rehabilitation centers will work out the approach that fits the individual needs of each patient. Addiction Resource » Addictive Substances: The Anatomy of Drug Addiction » Phenibut Addiction: Is Noofen Habit-Forming?